The folks at Judicial Watch obtained documents from the U.S. Border Patrol confirming that on June 26th of last year a Mexican Police helicopters crossed over the border into U.S. airspace and fired on US Border Patrol Agents. According to the documents, the helicopters fired at Agents in four cars two of which were clearly marked as official bored patrol vehicles. 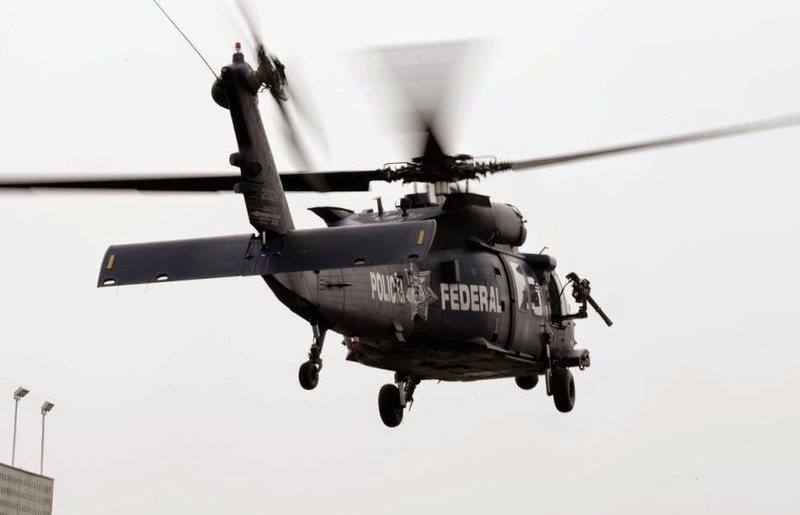 [US Border Patrol] Agents from the Tucson Sector Foreign Operations Branch were parked approximately 100 yards north of the Border on the U.S. Side when they observed a Mexican LEA helicopter cross north into the U.S. for approximately 100 yards. The agents then heard and observed two rounds being shot from the helicopter which landed approximately 15 yards to the side of one of the unmarked Border Patrol Vehicles (FOB) they were driving. Also, there were two marked vehicles at the scene next to the unmarked as well. A total of Mexican law enforcement helicopters flying near the Represito Ranch were observed by the four agents. Two agents were driving two marked Border Patrol vehicles and two additional agents were in a third, unmarked vehicle when one of the helicopters flew directly north and crossed into the US approximately 100 yards. The helicopter immediately turned back south into Mexico and landed at the Represito Ranch where Government of Mexico (GOM) officers exited the aircraft. Five GOM officers walked north and approached the International Border Fence where the incident had occurred, and subsequently made contact with the agents. The GOM officers apologized for the incident and stated that the incident had been reported to their main office in Mexico City, D.F. "According to information obtained by California Congressman Duncan Hunter from the Department of Homeland Security, there have been 300 documented incursions by Mexican military and law enforcement authorities onto U.S. soil since 2004. Hunter reported on June 17, 2014, that, according to the DHS:"
Of the 81 armed encounters, a total of 131 subjects were detained. While the number of unauthorized incursions by Mexican authorities is relatively few, it is imperative for our officer safety to handle each situation assertively but with sensitivity and professionalism. And still our government had no interest in securing the border!